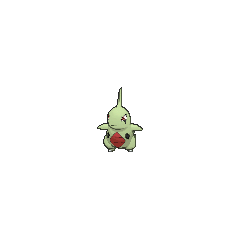 Larvitar in game: 8,735 Who? Important notice! 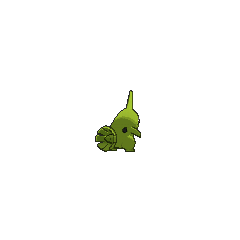 Pokemon Larvitar is a fictional character of humans. In Hatch Me If You Can, Ash had a Larvitar he hatched from an Egg given to him by Professor Elm to deliver to its mother, living on Mt. Silver. Despite not being able to learnHarden in the games, it constantly used it when approached by anyone other than Ash or Pikachu prior to Mother of All Battles. 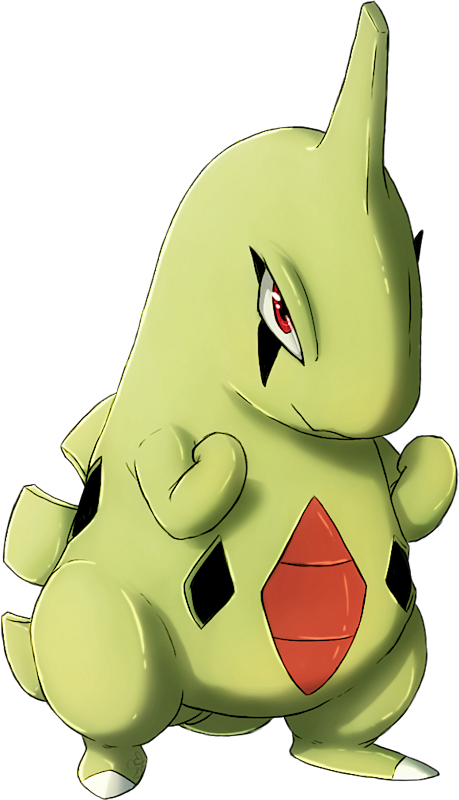 Larvitar first appeared in Pikachu's PikaBoo. Pikachu and co. invited Larvitar and its friends to a game of hide-and-seek, though Larvitar refused. Later, it was feeling left out and viciously kicked a rock at a lawnmower (which went ridiculously haywire afterwards). In Pinch Healing, a Larvitar was being babysat by a Poké-Sitter named Matt. Ash and his friends were helping him with his job. 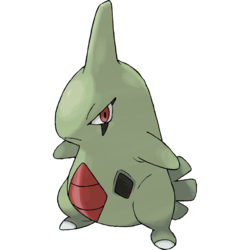 The Larvitar was shy, and used Sandstorm when confronted. By the end of the episode, however, it warmed up to the group, particularly May. A Larvitar appeared in The Mystery of the Missing Cubchoo!. It joined Chris's team at the end of the episode. A Trainer's Larvitar appeared in Off the Unbeaten Path participating in the Pokémon Orienteering. A Larvitar also appeared in One Big Happiny Family! in Jessie's fantasy. 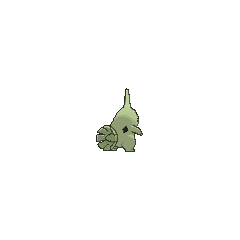 Another Larvitar appeared in Challenging a Towering Figure!. A Trainer's Larvitar appeared in a picture in Origins of Mega Evolution!.